You can rely on reading. Lots of the other things that you can do to pass your time and have fun are out of your control. My favourite television programme has ended and there probably won’t be another series because not enough people liked it (which means they must have been stupid), but with a book, it’s just you and the book. It doesn’t depend on anyone else’s point of view – once it’s there, no-one can change that. In the same way, when I read, no-one is making their mind up about the appearance, setting or accent that characters have: everything comes out of my own brain. If you go to the theatre, or to the cinema, then lots of that has already been done for you. Even if you don’t think that that lady looks like Medea, that’s bad luck because she’s already in it and that’s who you’re going to see. I didn’t think Percy Jackson would have an American accent, but he did in the film and now that’s the voice I hear in my head when I read the books. Reading allows me to make my own mind up about everything, and make my own decisions: there’s just me and the writer’s words – and that’s how I think it should be. That’s why I read. I read me because it enables me to go back in time and experience what other people with different standards of living experienced. I find it really interesting to read about things that I don’t understand, because then I’ll know about it, and that knowledge will never leave me – I even know about the Stone Age now, and that’s not the sort of thing that comes up in conversation, but it’s good to know, because now I’ll never wonder what happened in the Stone Age. I’ll know. Some of the most amazing people in history wrote their autobiographies, so you don’t have to think what they MIGHT have thought: you can read their actual words. People like Winston Churchill, Nelson Mandela, Julius Caesar (and some baddies as well) wrote about what had happened in their lives, so when I read about them, I know they’re telling the truth and that they haven’t got it wrong. Reading lets impossible things happen to you. You can be in the story, with the characters, not just watching the story like you would do on television, but actually being there. Even if you don’t know people exactly like in the story, or know the places that they’re talking about; when you read, it’s like you do know those things. In “Alice in Wonderland”, I think Alice is me, and that those things could actually happen to me in real life. Even if there are things that seem impossible (like girls turning into kangaroos in “The Wind on the Moon”), when I read it in a book, I don’t think it’s fake or unrealistic: I think that there’s a world where it can happen and does (under certain circumstances). When I read these stories, I think that these places are lovely places to be, and that the things that are happening are lovely things to happen. It brings a huge amount of pleasure into my life and allows me to relax in silence, and if I couldn’t read I’d miss all the worlds, the lives and the people in the books who have come to life as I have read about them. This is a book about a man, William Stoner, who enters the University of Missouri at the age of nineteen to study agriculture and never leaves. It charts his progression from undergraduate student to professor of English literature within the university, depicting the trials and tribulations of his professional and family life. Ostensibly, it is not a book that tells a particularly interesting story, certainly not an extraordinary one in any case. Nor does it go into any particular detail about the focus of Stoner’s career as a student or as a teacher of literature; I can’t remember the period or any of authors he specialises in. And yet, Williams manages to convey an irresistible sense of the joy of Stoner’s vocation, starting with a vague awareness of his calling through to the publication of his first text. In fact, the most striking thing about the novel is the way it moves seamlessly through the protagonist’s life, stopping carefully to consider some of the key moments in it, but at all times adopting a detached perspective. It is this detached perspective that allows the author to capture the vagaries of human life so convincingly, successfully mixing a sense of fatalistic abandonment with an appreciation of Stoner’s stoicism and ability to take stands on matters of principle. He has to make several difficult decisions, including to stay at the university to study literature rather than return to his parents’ farm as originally planned: “If you think you ought to stay here and study your books, then that’s what you ought to do.” However, despite these fleeting instances of self-determination, Stoner’s control over his life is limited in the extreme, as tends to be the case with every life when looked at in retrospect. Similarly, his contact with the outside world, and with history generally, is described in terms of transient encounters: the First and Second World Wars and the Great Depression appear indirectly through other characters rather than as characters in themselves. Perhaps it is the book’s grasp of the ephemeral that leads many to the conclusion that this is a melancholy novel about a thoroughly downtrodden individual. In many ways that assessment is correct, but it fails to do justice to the full extent of the novel’s scope. 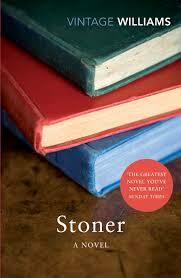 For starters, Stoner lives a life of relative comfort and is a man who loves his job. Williams spoke as follows of his protagonist: “I think he had a very good life. He had a better life than most people do, certainly. He was doing what he wanted to do, he had some feeling for what he was doing, he had some sense of the importance of the job he was doing.” There is no doubt that, despite some moments of intense conflict and sadness, Stoner’s is a full life, which is more than most will experience. Williams manages to convey this in a thoroughly original manner, and it is a book that haunts the reader long after it has been put down. Eugene Onegin is magnificent. Do not be fooled by Pushkin’s glib suggestion that his poem contains the fleeting fancies of his mind. Written over the course of eight years – started during his exile and finished in the year of his marriage –Eugene Onegin is informally autobiographical, a social commentary and a timeless love story. Touching briefly on Pushkin Part 1, it is clear that if you read a translated text a good deal of Pushkin’s technical ability and talent as a wordsmith is lost. In particular, feminine rhymes at the end of lines are not easy to replicate without some degree of word replacement. Translating Russian to English requires around one third more words so we also lose some of the acute, direct nature of Pushkin’s text. That is not to say that he is ever verbose or overly wordy, far from it. My copy is the Penguin Classics translation by Stanley Mitchell. Wherever words and phrases are untranslatable, they are often substituted for lines from Pushkin’s contemporaries, idols and influencers; Byron is used often. As a result, the translator appears to have done an excellent job replicating the character and style of the original. One might hope that the author himself might have been proud of the translation. A slight quirk of Eugene Onegin and Pushkin’s work is that French is frequently used for both description and conversation – as was the case amongst the Russian ruling class of the time. This provides an escape route of sorts. On occasion, his characters cannot describe something in Russian or simply prefer to use French. For translation purposes it is beneficial when a romantic language is used in these tricky spots. Pushkin is refreshingly honest and plain in his reflections and descriptions. As a result the reader is favourably disposed to the writer: I have rarely felt more rapport with an author, let alone one nearing their 180th birthday. Eugene Onegin is a difficult book to review or summarise without spoiling the plot. The story is not long and moves apace; there are occasions where months pass between stanzas and years pass between chapters. This actually leaves the reader intrigued by what the characters have been doing and how they have been developing rather than encouraging a sense of bewilderment. This pace and the quixotic verse in which it is written yield characters that are more silhouettes than anything else. They flash between scenes giving you glimpses of a dark romance, torment and duty. In many ways, it reads more like a play or indeed an opera. Tatiana’s love is rejected. The apathetic Eugene masochistically denies himself pleasure at every turn and refuses to entertain Tatiana’s pleas. His response to her letter of love and devotion is almost as pathetic as it is sad. 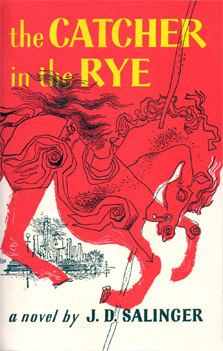 Through the poem, love letters and responses to them provide the most detailed look into the characters’ personalities. In this neo-classic romance we are forcefully drawn into Eugene’s world of sadness and spurned hope. It is marvellous. (Spoiler alert!) The damage caused by Onegin’s self-pity continues to the end. 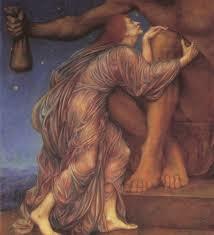 He courts jealousy, which ends in him being challenged to a duel by his great friend Lensky whom he shoots dead. Tormented by these events Eugene leaves the countryside and travels. Tatiana is left torturing herself with memories. She frequently visits Eugene’s deserted house to read his books in his study. The hero of the story is truly lethal, physically and emotionally. Years later we find that Tatiana has journeyed to Moscow to find a husband; she marries a famed general. She becomes a woman, a paragon of society, embodying truly Russian values and virtues. Gone is much of the simple country girl, replaced by an urbane yet unpretentious princess, the toast of Moscow: “the city’s flower”. With candid honour, side by side. Eugene Onegin is a gift, a brilliant work, and this verse buried deep inside Chapter VIII seems to have been echoed seventy years later by our very own Rudyard Kipling. JJ Abrams used to be a fairly acquired taste. An elite few of us sat, agape, through several seasons of his TV series Roswell High many years ago, but not everyone could stomach the subtle metaphor for teen alienation being delivered via the plot vehicle of teen aliens attending high school in Roswell, New Mexico, famed for an alleged UFO crash and resulting cover up in 1947. Subtle and fairly casual about timelines, he went on to make Lost which made him more popular, until the ending made everyone cross. However, now there is no way of evading Abrams, even if you wanted to. Much like Joss Whedon’s ascent post-Buffy and Firefly, these geeks have sidled into commanding mainstream cinema in the form of The Avengers for Whedon, and Star Trek and Star Wars for Abrams. To be helming two major science fiction franchises at once is unheard of, but regrettably this post is not about fanatical loyalty, but about Abrams’ literary side project. An interesting reaction to the pressure of taking several massive professional commitments is writing a book. However, what makes it more intriguing is the form in which the book appears. 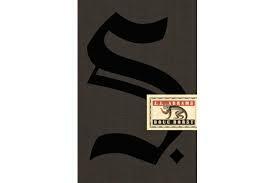 S. was co-authored by Doug Dorst (a slightly shadowy figure who writes full time as well as being a three time Jeopardy winner), and is a singularly beautiful – or at the very least pleasing – object. The hardback appears in a box, and resembles a library book down to the label on the spine and the stamps on the inside cover. What is more, it is entitled Ship of Theseus, by an unknown 19th century writer called V M Straka, and it is full of pieces of paper: maps, letters and postcards hidden between the pages. It is also covered in notes scribbled in the margins, written in two very different (but wonderfully legible) kinds of handwriting. It emerges that this book is in fact more like three stories: there is the science fiction novel by ‘Straka’, the footnotes by Straka’s translator arguably add another level as it turns out Straka’s true identity remains a mystery to this day, and the relationship developing between the two people who take it in turns borrowing this volume from their university library in order to crack who Straka was. The stakes are raised by a rival group who are trying to uncover the Straka myth at the same time, and seem to be supported by a larger entity with nefarious influences. 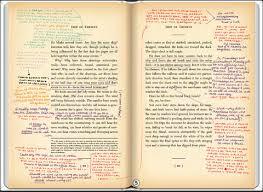 Trying to keep track of the varying strands at the same time while juggling the marginalia and various paper clues means that the reader has to work rather harder than they may be used to, but this may be a welcome change for the readers so habitual they tend to gallop faster than they’d like. Going back and forth and around makes you reconsider the pages, which is both refreshing and exasperating. The reader encounters a ship manned by a silent, gaunt crew with a grim mission reminiscent of The Rime of the Ancient Mariner, a country broken by revolution, an American university in the grip of winter plagued by apparently random acts of violence and theft, an elderly Brazilian lady refusing to give up her secrets in any of the many languages she speaks, and two chippy academics with a certain amount of self-pity who still manage to fall rather touchingly in love. The stories themselves may not stand up to prolonged scrutiny, but it is such a creative way of changing one of the more established formats that it does not matter hugely. The production must have been an expensive labour of love, as the end product costs no more than a standard hardback and is the sort of object you would be delighted to hold on to. S. has been compared to Nabokov’s Pale Fire and A S Byatt’s Possession with some justification, and even if you are still seething about Lost, this book will not entirely repair the damage, but it may both mollify and entertain you in the process.